Kolkata: Adamant not to requisition Central paramilitary troops for the coming Panchayat polls in the state, Mamata Banerjee government has today said that it will instead bring some police personnel from other states. The director general of state police, Surajit Kar Purkayastha, today disclosed this at a news conference at state secretariat Nabanna. This on a day Calcutta High Court directed the state to furnish a detailed report on security arrangements being put in place for the election. Purkayastha has, however, made it clear that the troops from the other states will be for “backup” and not for deployment for the primary poll duty. He also did not specify the number of police personnel that will be brought in from other states. “The strength of Bengal police has increased by many folds in the past few years and this is sufficient for ensuring security during the Panchayat polls. Additionally, we will get police personnel from 4-5 other states for backup. Every polling premise will be manned by armed police personnel,” Purkayastha said while reiterating the government’s stand against requisitioning Central troops. Sources said that to meet the demand for armed police personnel for the polls, Bengal police have plans to utilise reserve security personnel attached to the correctional home department, forest department, and the state excise department. 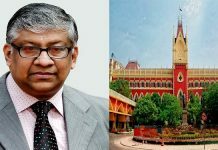 Purkayastha’s news meet on security arrangement came as the Calcutta High Court today sought a report on security arrangements for the election. 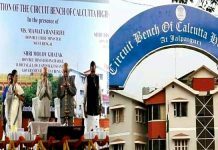 Acting Chief Justice Jyotirmoy Bhattacharya sought the report acting on a petition filed by the State Employees’ Federation. On behalf of the Federation, Debasish Sil said that they have sought the HC’s intervention as it is the employees whose life will be at risk unless stringent security measures are put in place in and around the polling booths. They are also demanding a compensation of Rs 10-lakh in the event of a government employee dying on poll duty and Rs 5-lakh for injury. 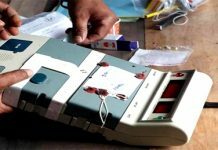 The acting Chief Justice then directed Anuj Sharma, IG (law and order), to furnish an elaborate report on security arrangements being planned for the polls, and set 4 May as the next date for the hearing.